The answer is data-driven marketing! In the following, we want to give you an insight on what data-driven means, how it works and how marketers benefit from integrating big-data to their marketing strategy. This type of marketing is about collecting, analyzing and interpreting data to use them for marketing strategically. This data should enable companies to understand the user’s behavior better. On the basis of these findings marketing decisions can be made and data-driven campaigns can be put on. Therefore it is crucial to collect as much information about the target market as possible. There are different forms of data that can be collected, for instance the online purchase behavior, browsing patterns or the social media activity of the client. 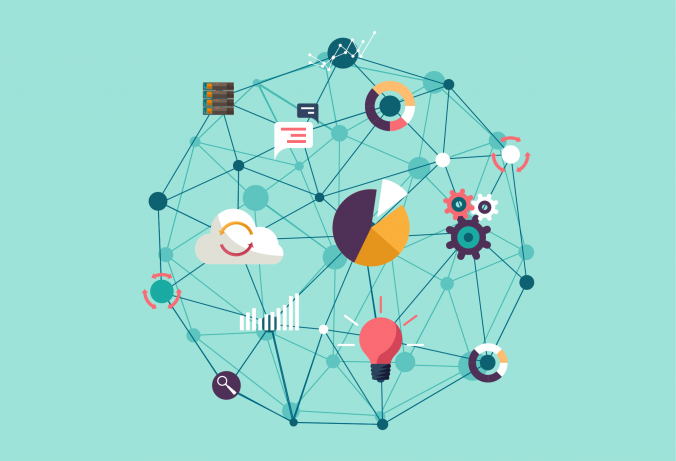 How does data-driven marketing work? Technical developments and big data make it possible to analyze the received data. At first, all information from big data inventory and other systems have to be present. These include demographic-, behavioral- and web analysis data, information from social networks and phone marketing as well as evaluations from questionnaires. There have to be made connections between those data sets. It is then determined which channels have been used and will be used in the future by the client. Furthermore, it is interesting to know how the clients got to the purchase of the product. The sectors with the highest revenue are identified and it is analyzed where the client can be “reached”. The basis for the work in data-driven marketing are learnings as well as reports that are based on them. What are the benefits for marketers? They key of data-driven marketing is a correct data analysis: precisely analyzed customer information leads to exact data models. These, in turn, enable the development of algorithms with which data-driven marketing is working. These data models make it possible to address the right customer at the right moment with the perfect product offer and content. Media is therefore talking of smart data. Through data, online marketing campaigns can be targeted more precisely. Furthermore, innovative programmatic advertising technologies make advertising more personal by using customer’s data. Online advertising, automated e-mail campaigns, retargeting and many more marketing instruments help showing users only those things they are interested in. This way, digital advertising is more effective. What is the biggest challenge when it comes to data-driven marketing? As most of the data comes from user’s online behavior, it is still hardly possible to track the offline behavior. For example companies’ new apps already offer offline coupons to try this way to overcome the gap of data. Such tools will get more and more important in the future. A connection between both data sets will be needed and implemented. Since data is and will be an important issue in the future, it is important to formulate an effective big data strategy as well as the right technology. This way, companies will be able to successfully do data-driven marketing.